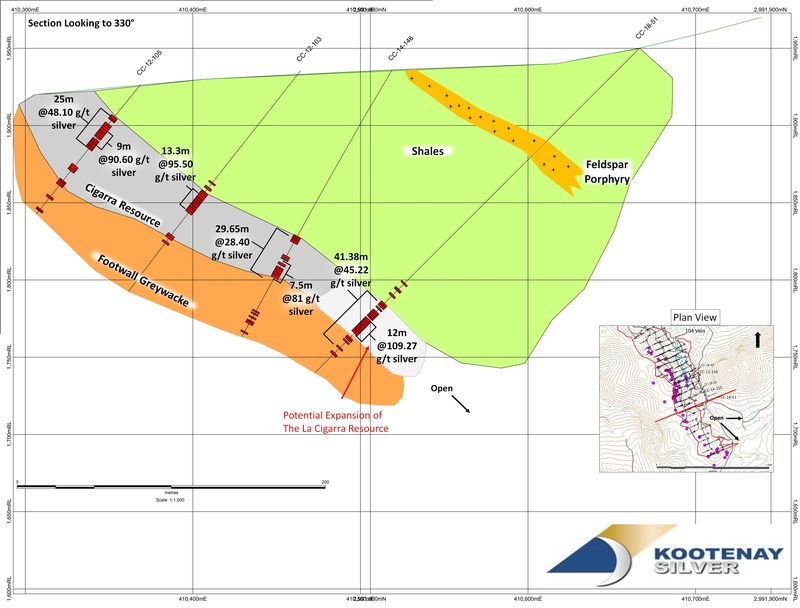 KOOTENAY REPORTS DRILLING AT LA CIG | Kootenay Silver Inc.
Kootenay Silver Inc. (TSXV: KTN) (the “Company” or “Kootenay”) is pleased to announce the results of eight core holes from its 2018 drill program carried out on its 100% owned La Cigarra silver project (the “Property”), located in Chihuahua, Mexico. 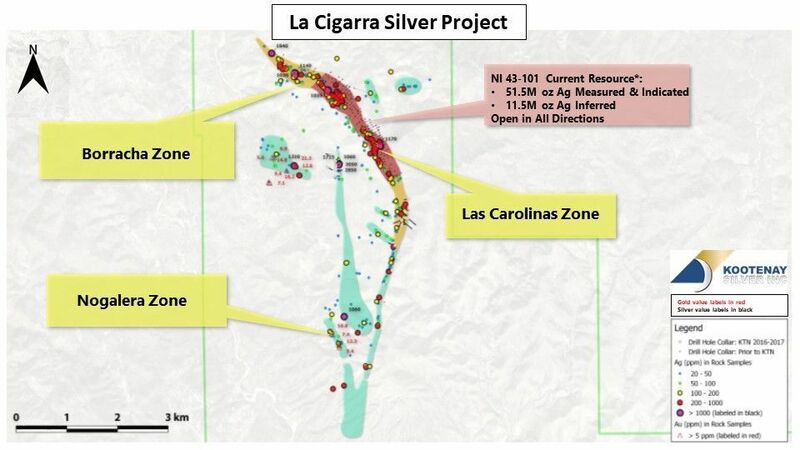 Drilling was distributed over several priority zones on the Property including the Las Carolinas, La Borracha and Nogalera zones with results returning a series of medium to high-grade silver intercepts in all areas, further supporting the expansion potential of the La Cigarra Resource. 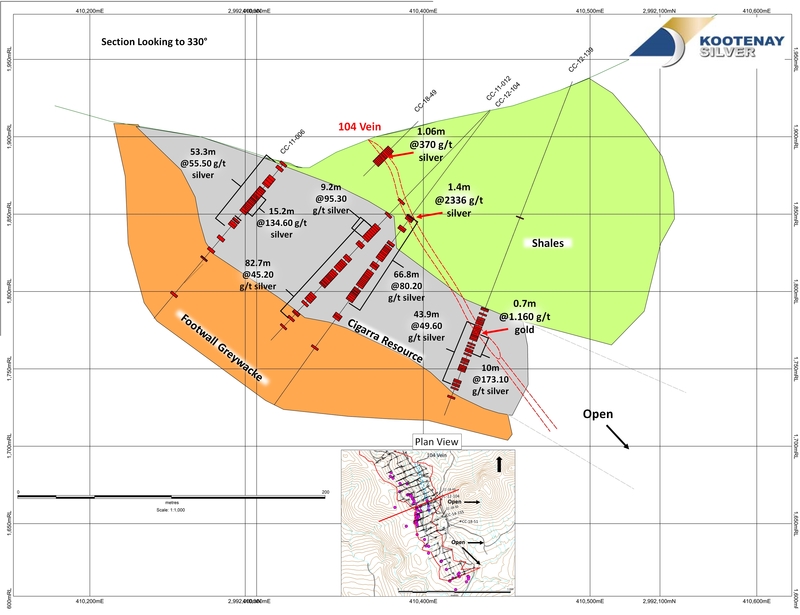 Click to view location of zones in relation to La Cigarra Resource. Hole CC-18-50 was also drilled to test the 104 vein but the vein was cut off by a post mineral dyke. 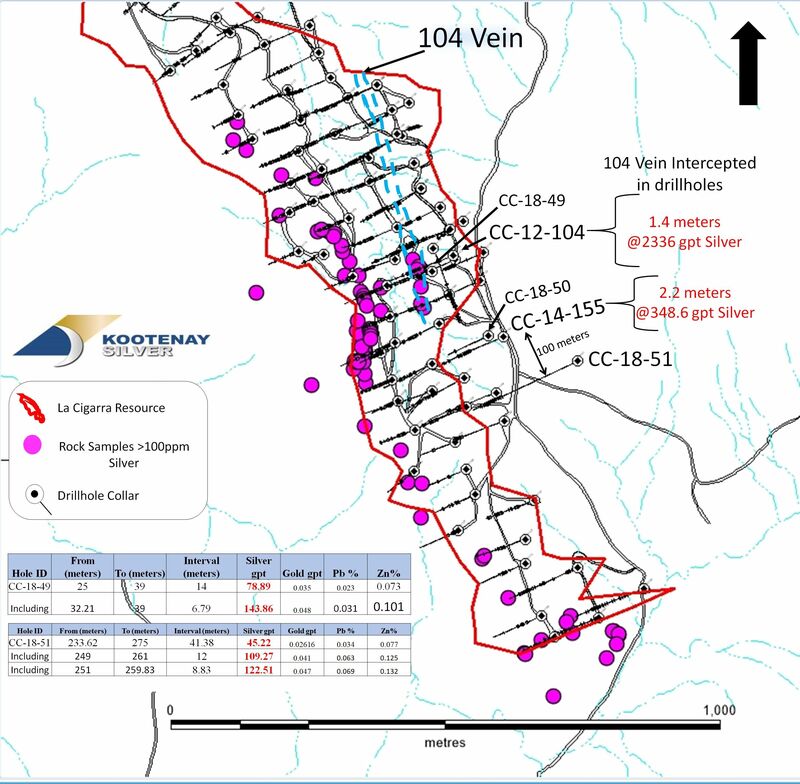 Mineralization to the north has been encountered for 1,100 meters beyond the La Cigarra Resource see Kootenay news release dated April 11, 2018. 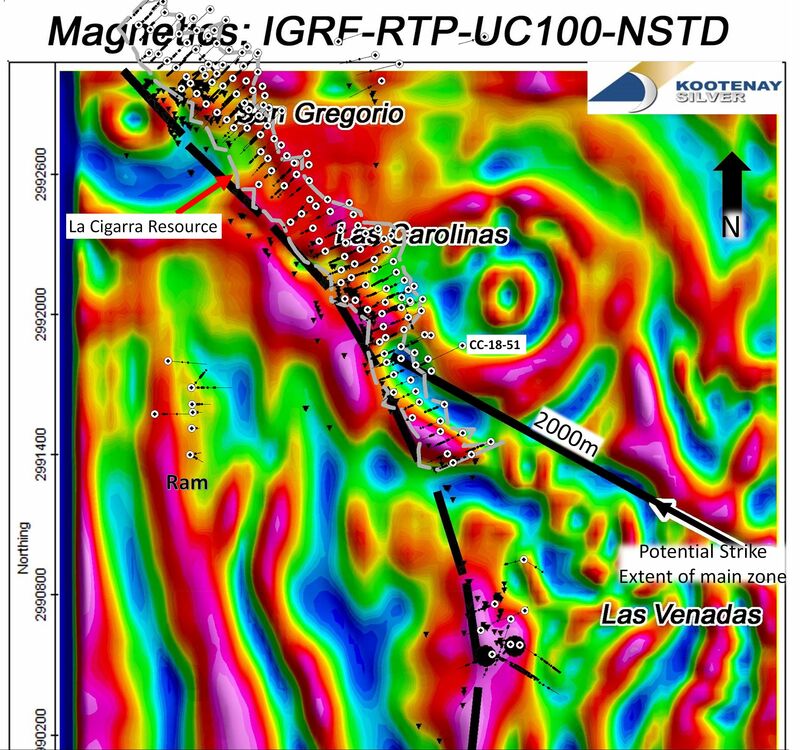 High grade silver mineralization at Nogalera looks promising as it is associated with a structurally focused zone of alteration and mineralization traceable for 800 to 1,000 meters on surface. Holes CC 18-45,46 and 48 all hit narrow weakly anomalous gold and or silver within similar structurally focused zones. Detailed results of the 8 drill holes can be seen in the table listed below. The information in this news release has been prepared as at July 11, 2018. Certain statements in this news release, referred to herein as "forward-looking statements", constitute "forward-looking statements" under the provisions of Canadian provincial securities laws. These statements can be identified by the use of words such as "expected", "may", "will" or similar terms.